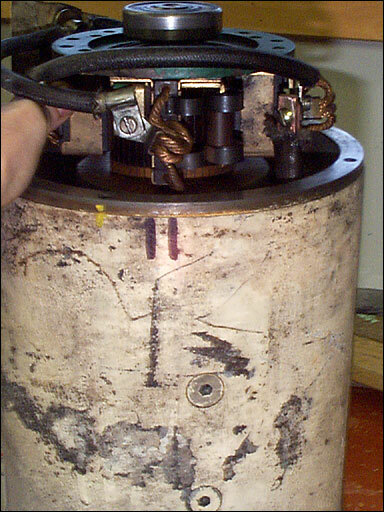 Above: end cap & brush plate removed. Above: shows brush position when end cap is in place. Facing brush pair lines up with 2 black lines on motor case when end cap is on. 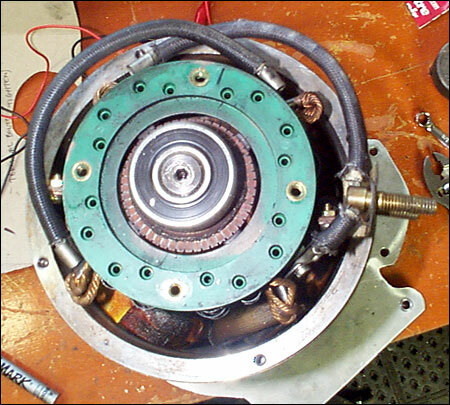 This photo shows how we set up the motor for "reversed" rotation from "stock": we swapped the field terminal (bottom of the pair) over from the other side of the motor, then rotated the brush plate (and end cap) 180 degrees and reconnected it to the field wire on the other side. Also shows the brush holder position relative to the pole shoe bolt head (one of the pair of shoe bolts). When facing the brush end of the shaft, "stock" rotation is CCW (CW when viewed from the output shaft end). 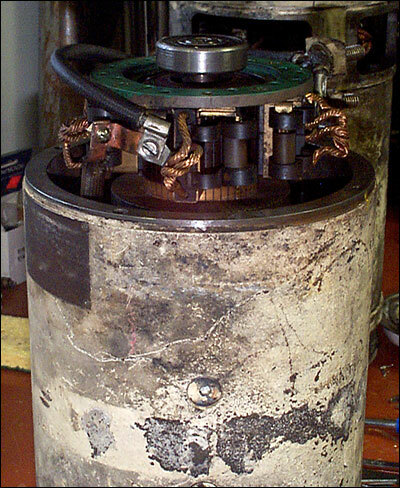 Above: Same view of casing, but motor wired for "stock" rotation. Above: Motor turned 90 degrees CCW (as viewed from brush end) from previous 2 photos. 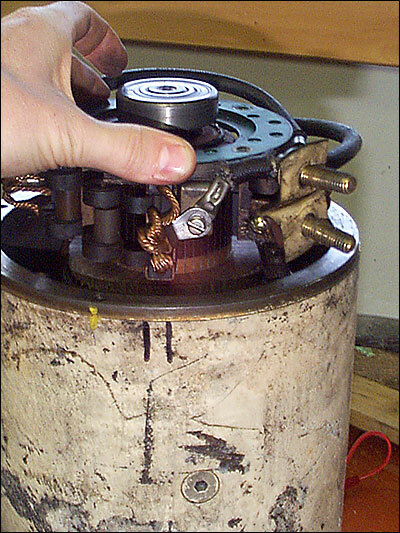 Shown wired for "reverse" rotation from "stock". 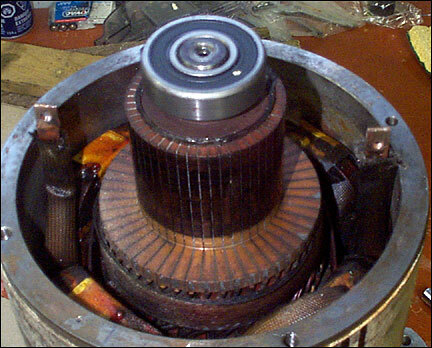 Above: Brush plate from above (shown wired for "reverse" rotation from "stock").